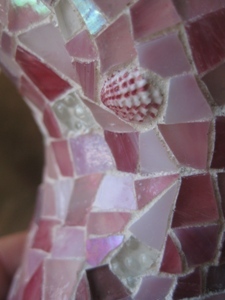 This blog is meant to keep me on track with mosaic work! Kind of an accountability of sorts, if I’m not working then I won’t have anything to update the blog with…so I’d better be working! Follow along with the progress of my mosaic work, what is happening with me mosaic-wise, and maybe a few other tidbits about life thrown in too. You make beautiful pieces. Just wanted to thank you for checking out my poem. #NOTHINGMatters, but You! thank you so much for taking the time to visit me & leave such a lovely comment! Not a problem. That’s the least I could do. Hi there, wonderful to have you following my blog and I’m looking really forward to following yours and seeing more of your interesting work which I love. Thanks so much for your lovely comment! My apologies for a terrible delay in replying – been a bit M.I.A. the past 2 months due to a move. I really liked your blog and am looking forward to seeing more of your work too now that I’m back online! I read your blog and could SO relate to your story. We had such terrible luck with movers the last time we did it ourselves! Won’t forget that in a hurry. Your new space sounds and looks PERFECT – I think the area you create in has such an impact on your work and head space. ENJOY IT! Oh that is terrible you had bad mover luck as well 😦 next time we might do it ourselves too! You’re so right on the space you work in has an impact on the work – my last spaces have always been cramped with not everything fitting in one place and some stuff down in storage or whatever, this new place will be awesome! Thank you so much for following my blog! I am happy to stumble upon your blog which showcases a very different & uncommon art 🙂 Keep it up! Thanks for stopping by here too Ray! looking forward to seeing more from your blog! Wow! I love your art, it’s really beautiful. thank you for such a lovely comment! 🙂 i’ve quite enjoyed your blog and plan to follow your adventures! likewise! thanks for visiting mine as well – yours was fun to look at for sure!